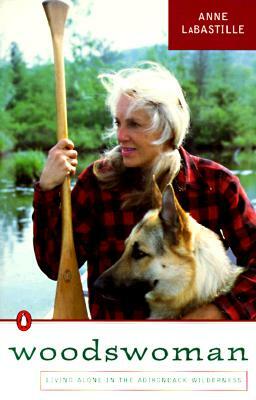 Ecologist Anne LaBastille created the life that many people dream about. When she and her husband divorced, she needed a place to live. Through luck and perseverance, she found the ideal spot: a 20-acre parcel of land in the Adirondack mountains, where she built the cozy, primitive log cabin that became her permanent home. Miles from the nearest town, LaBastille had to depend on her wits, ingenuity, and the help of generous neighbors for her survival. In precise, poetic language, she chronicles her adventures on Black Bear Lake, capturing the power of the landscape, the rhythms of the changing seasons, and the beauty of nature’s many creatures. Most of all, she captures the struggle to balance her need for companionship and love with her desire for independence and solitude. Woodswoman is not simply a book about living in the wilderness, it is a book about living that contains a lesson for us all. Anne LaBastille is an author, ecologist, and photographer. She is the author of numerous books, including the Woodswoman and Woodswoman III. LaBastille was also a very accomplished technical writer, having published over 150 articles. LaBastille died in 2011.